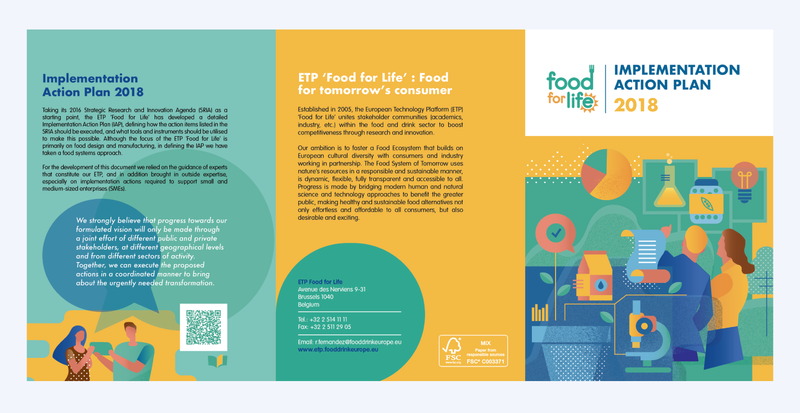 The European Technology Platform (ETP) ‘Food for Life’ unites stakeholder communities within the food and drink sector to boost competitiveness through research and innovation. 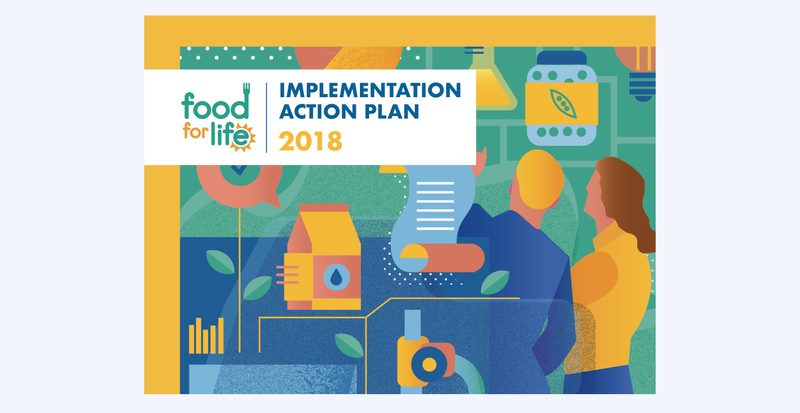 Taking its 2016 Strategic research and Innovation Agenda (SRIA) as a starting point, the ETP developed a detailed Implementation Action Plan (IAP). 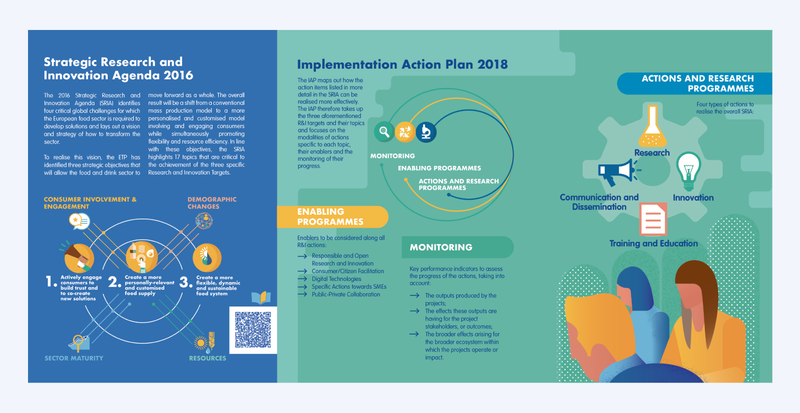 The objective of the project was to highlight in a clear and visually appealing way how the items listed under SRIA should be executed and what are the instruments to make it possible. Visually we developed an interactive publication that uses customised illustrations to highlight such a complex issue. 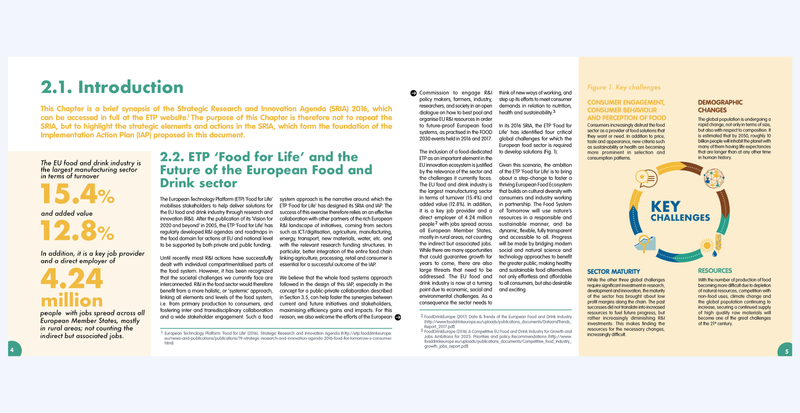 A brochure was also developed which provides a brief understanding about IAP.